The smokey eye look never goes out of fashion and one of the biggest trends at the moment is a purple twist on this popular make up style. 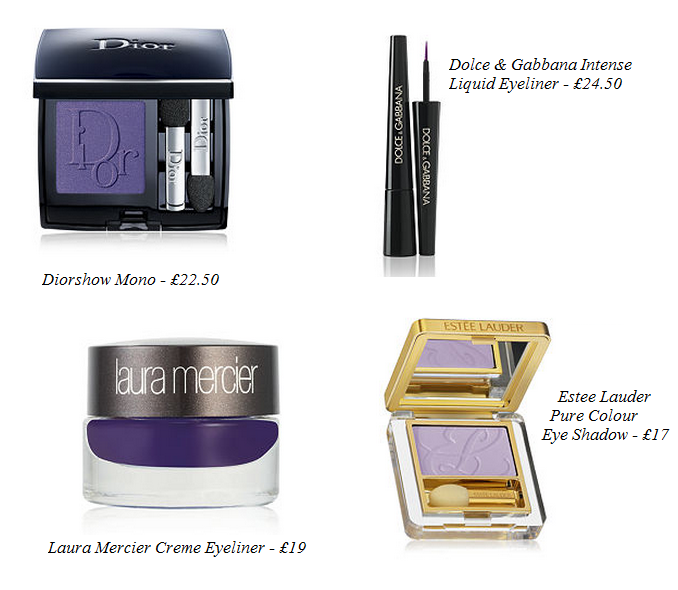 Purple eye shadows are on trend and this is particularly good for those with green or blue eyes because plum shades will really make them stand out! Eye shadows that contain loose powders are the best one to use as they are really easy to blend. They can be hard to find so a soft one is a good alternative. The blending is really important to the whole look, especially if you are using a strong colour such as purple. Jet black eyeliner will help frame your eyes and provide a dramatic edge to the smokey look. Liquid eyeliner is the best for giving high definition; however, a soft pencil will add some extra blending potential. Be careful it doesn’t become too messy though. Make sure you use very soft makeup brushes as this helps mix the various shades and will be crucial for creating a natural transition between the tones. Apply light face makeup. It is all about the eye shadow, so don’t wear strong bronzer, blush, lipstick or anything else that could prove a distraction. When doing the smokey eye, begin by adding your darkest color to the outside corner of your eyes. They you can merge this with a lighter colour on the inside, while also blending the two together. Don’t forget your mascara! This is a finishing touch and essential for a powerful look. We recommended coating both the top and bottom lashes. A highlighter beneath and above the eye is also a good call.